DANBURY, Conn. — Speaking about 15 miles from the site of December’s elementary-school massacre, Vice President Joe Biden said Thursday that it was “unacceptable not to take action” to curb gun violence. Biden spoke at Western Connecticut State University, which is about a 20-minute drive on Interstate 84 from Sandy Hook Elementary School in Newtown, Conn., where 20 children were massacred in December. The event featured panels led by Connecticut Sens. Richard Blumenthal and Chris Murphy. Biden’s speech comes a little more than a week after President Barack Obama renewed his push for stronger gun laws during his State of the Union address. “They say it isn’t about guns. They’re wrong. 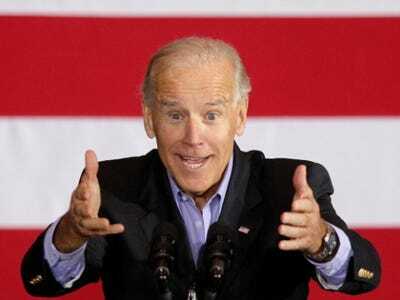 It is about guns,” Biden said. He pledged that no new measures will infringe on anyone’s Second Amendment rights. Biden said he met with Chris and Lynn McDonnell, the parents of Grace McDonnell, who was one of the children killed in the elementary-school massacre. The McDonnells were part of one of the earlier panels on gun violence. Speaking before Biden, Blumenthal said that the push to curb gun violence was gaining momentum. Secretary of Education Arne Duncan followed Blumenthal and told a story that made the audience audibly gasp. He said a young boy in Chicago told him that “if — not when” he grows up, he wants to be a fireman.